In 2011, we teamed up with the Department of Education to launch the Know Before You Owe: student loans project. The project was aimed at creating a financial aid shopping sheet which colleges and universities could use to help students better understand the type and amount of grants and loans they qualify for. It also could be used to help students easily compare aid packages offered by different institutions. Take a look at our journey to learn more about where the project started and how it’s going to help students across the country. 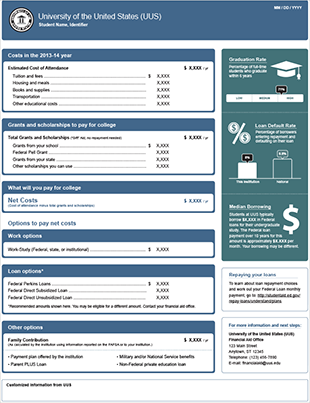 In 2011, we released a prototype of a model financial aid offer form. We asked the public to react and tell us what was most helpful when comparing aid offers. Thousands of students, parents, guidance counselors, and college officials provided input. We received feedback from thousands of you on almost every aspect of the “financial aid shopping sheet” prototype. Consumers said having a standardized way to receive financial aid information is important. We released a memo detailing your feedback about the shopping sheet to share with the Department of Education. 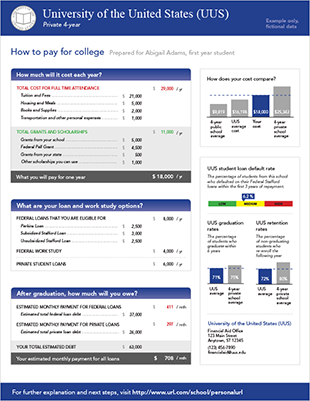 Soon after, we built a beta version of the compare financial aid and college cost tool. The tool, which complements the shopping sheet, works to help students make cost comparisons tailored to their individual circumstances. 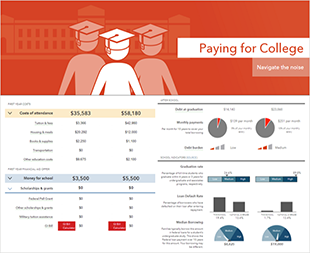 Students who received their financial aid offers could use the tool to see how college costs could impact their loan payments down the road. After reviewing our memo and reading feedback from the public, the Department of Education unveiled the final shopping sheet. The final version reflects many of the suggestions consumers gave in response to the prototype. CFPB Director Richard Cordray joined Secretary of Education Arne Duncan for a conference call to discuss the finalized form and encourage college and university presidents to adopt the shopping sheet for the 2013-14 school year. Just four months after the final product was released, Secretary Duncan announced that 500 colleges and universities would be using the shopping sheet for the upcoming school year. More than 2,000 schools have now adopted the shopping sheet.